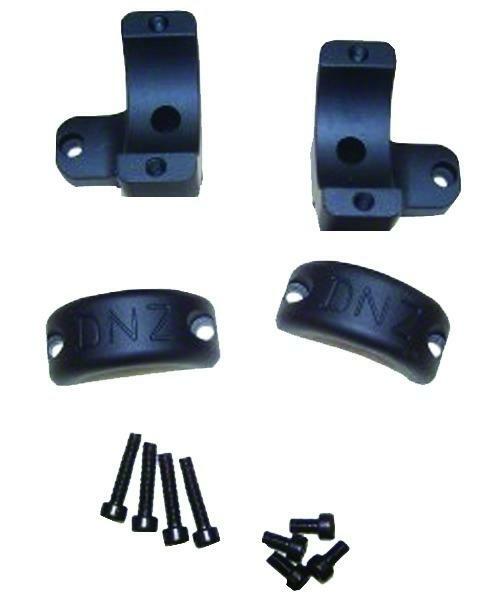 Hunt Masters signature series DNZ two piece scope mounts. Each ring and base is machined from a solid block of 6061T6 Aluminum. Integral ring and base design allows for extra eye relief adjustment. Eliminates or reduces scope damage from tightening rings. Light weight design, approx 1/3 the weight of steel. Fast installation requires no special tools. Eliminates the need for windage screws that can work loose and cause problems. Up to 4X more threads than other mounts. Hardened grade 8 screws, Anodized to last a lifetime. Machined one piece ring and base design for extreme accuracy.